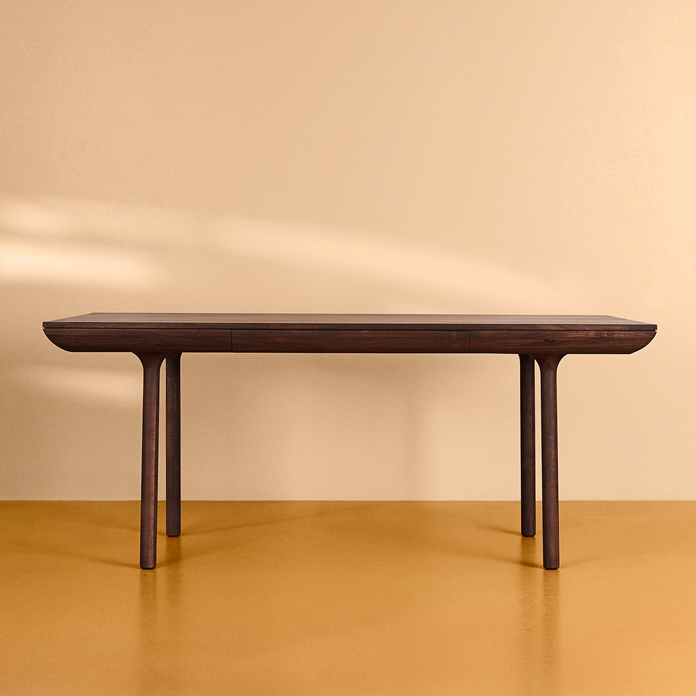 Timeless dining table with a poetic idiom and a neat little drawer. With its pure and classic design, Rúna creates a space around itself and boosts your entire interior design whether the dining table is placed in a living room with stucco-ceiling or in a modern home. The elegant drawer in the Runá table can be used for keeping place mats, napkins and other decorative items for the table setting. The table is made of solid wood and acquires its beautifully distinctive character from consummate handcrafted details, including the rounded edges along the sides of the dining table and the trumpet-shaped legs that unfold against the tabletop The talented Danish designer Isabel Ahm found inspiration for the table in the secretive ambience and poetry found in the Nordic forests at dusk; indeed, Rúna shares the same enigmatic trait. 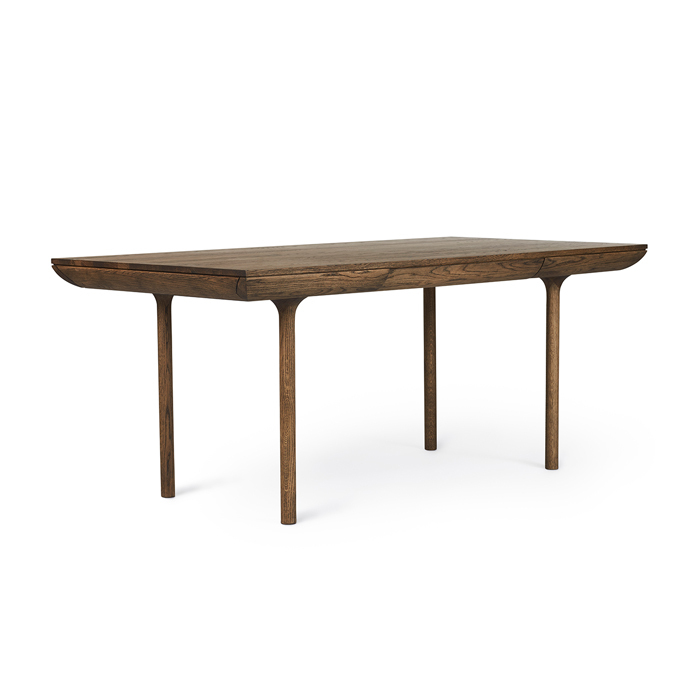 The dining table is made of wood types with a warm hue of the highest quality. Choose between several beautiful, classic finishes. Rúna means a mix of whispering, advice and secrecy in Old Norse. The design is reminiscent of the past, not least the classic aesthetics and love of wood of the 1950s. With Rúna, Isabel Ahm also addresses a current – and future – need to surround ourselves with high-quality and highly functionalist expressive furniture. This range by Isabel Ahm also includes a desk. 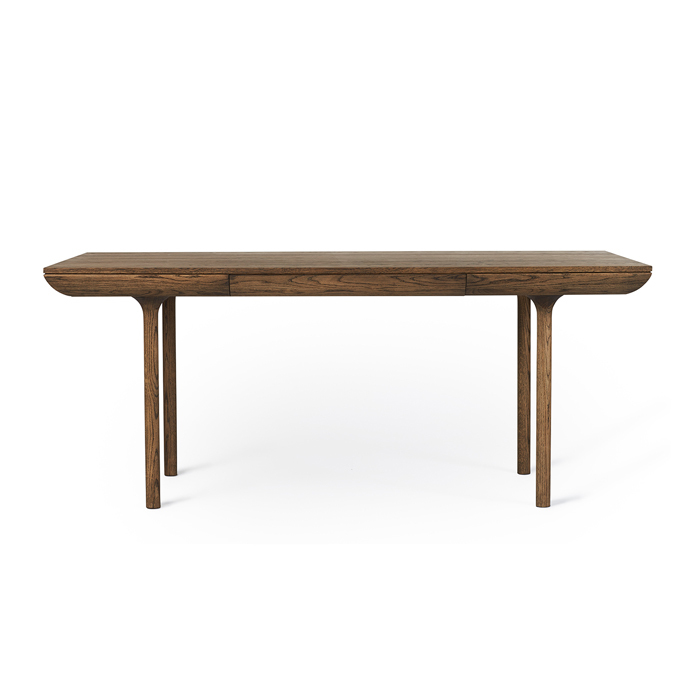 A somewhat smaller model that can also be used as a dining table if the dining space is limited. Isabel Ahm embarks on every design with studies of people and everyday life, combined with innovation and aesthetics. In her original furniture and product designs, Isabel Ahm embraces everyday habits and needs. Each and every object beautifully fulfils its role and its unique potential in an interior. As a child of the Danish design tradition, for Isabel Ahm quality, functionality, poetry and that little touch of something extra are essential. In an eternal quest for excellence, she constantly seeks to challenge and renew everyday design, thereby perpetuating tradition.